Does Carpeting Affect Indoor Air Quality? Indoor air quality is a big concern in both homes and businesses these days. Making sure the air we breathe while at home or work is free from dust, allergens, bacteria, and other such pollutants is important to help prevent health problems. You make sure to change the air filters on your home heating and cooling system on a frequent basis. You use a humidifier in the winter to keep the proper levels of humidity in the home, which also helps to reduce illness causing bacteria. You may even be diligent about making sure the carpeting in your home is vacuumed on a regular basis. However, there could be dust, dust mites, allergens, and other small particles trapped down inside the lush carpeting’s pile. Getting to these trapped particles in the carpeting can be difficult with a normal vacuum cleaner. In order to truly release the dirt, dust, pet dander, and other such items requires regular carpet cleaning by a professional carpet cleaning company in Toronto. Getting your carpet deep cleaned removes these items and helps restore the carpeting’s appearance, luster, and feel. Furthermore, the dust and allergens deeply embedded in the carpeting are removed, helping improve the indoor air quality within your home or business. How Often Should I Get My Carpeting Cleaned? Keep in mind the frequency of carpeting cleaning does depend upon several different factors and should be based upon the most appropriate schedule that best matches your own residential or commercial needs. 1. How much foot traffic does the carpeting receive? The more foot traffic your carpeting gets, the more often it should be cleaned to prevent wear and tear patterns. 2. Do you have pets that live indoors or both indoors and outdoors? Pets are a source of pet dander. If they spend time outside and inside, they can also track in fleas and other unwanted guests that could be living in your carpeting and may require for frequent cleanings. 3. What is the overall age and condition of the carpeting? As carpeting ages, it tends to need to be cleaned more often than newer carpeting. Keep in mind, on average good quality carpeting will last around ten years before it needs replaced. 4. Is there areas of the carpeting that often get wet from rain or snow? Moisture trapped in the carpeting on a regular occurrence can lead to the development of mildew and mold. If you have high traffic areas that are getting wet quite often, then these areas should be professional cleaned and treated frequently. 5. Do people wear their shoes while walking on the carpeting? Shoes track in dust, dirt, allergens, and other items that will fall off and get stuck down inside the carpeting. To keep the carpeting looking great, you will want to get it cleaned regularly. If your carpeting has thin spots, tears, or other signs of wear and tear, depending on the age of the carpeting, these areas can be fixed by our Toronto carpet repair company and will help extend the life of the carpeting. Once fixed, they should be cleaned on the same schedule as the rest of the carpeting. 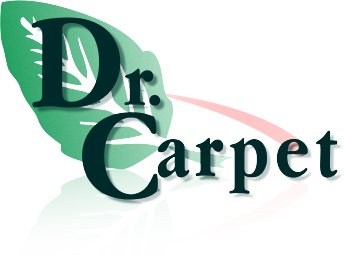 For more information about carpet cleaning, repairs or stretching services, call the carpeting experts at Dr. Carpet at 647.800.5199 today! What Is Better: Replace or Repair Carpeting? One frequently asked question we receive here at Dr. Carpet is it better to replace carpeting or attempt to repair it. Typically, carpeting is one of the top three investments homeowners make to maintain their homes. For business owners, carpeting can be a major expense, too. There are several key factors you need to consider in order to determine the most appropriate solution for your home or business. The age of the carpeting. Most high-quality carpets last on average about ten years with the proper maintenance, care, and cleaning. The appearance of the carpeting. Depending upon the colour of the carpeting, even carpets that are less than ten years old can look worn in high traffic areas. If that lightly coloured carpeting, you have in your home or business is starting to show signs where it appears darker in certain areas because of dirt, cleaning and repairing could be an option. Worn areas where the carpet is thinner, frayed, or completely worn away. If you have to use duct tape to keep people from tripping over the carpeting, patching services could resolve this type of problem. How long you expect to remain in your current location. If you planning on moving soon or relocating your business, investing in new carpeting may not always be the best choice compared to repairs and cleaning. However, new carpeting could make it easier to sell or rent the property and possibly increase the sales or rental price. The amount you want to invest. If you are on a tight budget right now, repairing and cleaning your carpets tends to cost less than installing new. The age of your children. If you have younger kids, spills are going to happen and your carpeting is going to be pushed to the limits. It might be more worthwhile to forego new carpeting until they are older and use repairs and carpet cleaning as a solution for now. The number of pets in the home. Pets can also be rough on carpeting and most of the wear and tear they put on it is easy to maintain with regular repairs and cleanings to ensure you get the most life out of it before it has to be replaced. In addition to these factors, you should also weigh the safety considerations depending upon the area of the carpeting that needs repaired and/or replaced. If you are still undecided, our Toronto carpet repair company recommends obtaining free estimates and doing a cost comparison. It could also be beneficial to consider getting a small section of the carpet cleaned and repaired to see the results firsthand. Most people are amazed at our high-quality level of carpeting patching and repair services! For more information about our carpet repair, patching, or cleaning services for your Toronto-area home or business, please feel free to contact the carpeting experts at Dr. Carpet today by calling 647.800.5199 and requesting your FREE quote! Did you know indoor areas can contain as much as 100 times more pollutants than the outdoors? It is for this reason carpets should be vacuumed frequently, spot treated whenever there are accidental spills, and cleaned at a minimum once a year by a professional carpeting cleaning and carpet repair company in Toronto, like Dr. Carpet. People track harmful pollutants into their homes and work on a daily basis. Most people spend on average 90 percent of their times indoors. The pollutants get trapped in carpeting and include allergens, dirt, and bacteria, as well as mold and mildew in some cases. Keeping your home’s or business’ carpets clean presents you with various carpet cleaning methods. One of the more eco-friendly methods is call low moisture cleaning. With this method, a carbonated solution is mixed with an encapsulating cleaning product. The solution is sprayed directly onto the carpet’s surface to help penetrate deep into the carpet fibers and release the dirt, dust, pet dander, stains, and more. Next, a round buffer pad, which is also called a “bonnet,” is attached to a scrubbing machine. The pad helps work the mixture deep into the carpeting with its rotating motion. The low moisture carpet cleaning machine is similar to a floor buffing machine used on hardwood and tiled floors. During the cleaning process, the bonnet pad is absorbent and helps attract the soil and other debris trapped in the carpeting. The pad is replace frequently throughout the process until the carpets are clean. Since the low moisture method uses a special encapsulation and carbonated solution, carpeting dries rather quacking, depending on the type and thickness, with most traditional styles of carpeting being dry within about an hour. How Does Encapsulation Help Clean Carpeting? The encapsulation cleaning product used with low moisture carpet cleaning is a special polymer compound that contain special particles. When they come into contact with dirt, soil, dust, and other debris in the carpeting, they crystallize and transform into tiny little sponges to soak up stains, dirt, and debris from your carpeting. The deep-cleaning compound contained within the crystals continues to work even after the cleaning process is complete. As the carpeting dries, the crystals continue to absorb any remaining residues, which then are removed by vacuuming the carpeting after it has dried. Our low moisture carpet cleaning solution is well suited for high traffic areas where carpets can look dirty and dingy, as well as stairs. We can even help find all those “hidden” areas your pets might have had accidents and you were unaware using our detailed black light inspections and decontamination carpet cleaning processes. Keep in mind the actual solutions required for your home or business can vary, based upon the amount of dirt, traffic, staining, and other such factors. Feel free to contact Dr. Carpet at 647.800.5199 now to request a quote for carpet cleaning, patching, repairing, installation, or stretching services in Toronto and the GTA.